13/05/11 -- Soybeans: May 11 soybeans closed at USD13.37, down 8 1/4 cents; Nov 11 soybeans closed at USD13.10 3/4, down 15 1/2 cents; May 11 soybean meal closed at USD343.10, down USD6.00; May 11 soybean oil closed at 55.75, down 46 points. Expiring May beans were up 11 3/4c on the week with new crop Nov up a more modest 2 1/4c. May meal was down USD1.80 and May soyoil was 38 pips higher. Slack export demand and a firmer dollar weighed. A drier forecast for the Midwest next week should enable some decent planting progress to be made. Monday's USDA report is expected to show soybean planting at around 20% complete, up from 7% a week ago and not too far behind "normal" at 27% done. Corn: May 11 corn closed at USD6.79, down 2 1/4 cents; Dec 11 corn closed at USD6.27, down 3 1/2 cents. May corn also expired at noon in Chicago with the contract ending 3 3/4c lower on the week whilst new crop Dec fell 13 1/4c versus last Friday. The USDA announced the sale of 271,200 MT of US corn to "unknown" for 2011/12 delivery and South Korea bought 269,000 MT of optional origin corn for August delivery. The "China is buying on these dips" rumours continue to do the rounds and any sales to "unknown" add a little bit of weight to these reports. Corn planting is expected to be past halfway in Monday's USDA report, with 75% about normal for this time of year. Wheat: May 11 CBOT wheat closed at USD6.96, down 4 1/2 cents; May 11 KCBT wheat closed at USD8.58 3/4, down 10 1/4 cents; May 11 MGEX wheat closed at USD9.11 3/4, down 7 1/2 cents. Nearby Chicago wheat was 28 1/2c lower on the week, with Kansas losing 9 1/4c and Minneapolis up a cent. Although US wheat production is seen falling 9% this coming year to 55.6 MMT, exports are seen down more than 18% as America loses market share to the FSU. A drier weather pattern forecast for next week should enable some significant spring wheat planting progress to be made in the Dakotas and Canadian Prairies. 13/05/11 -- May London wheat closed GBP2.00/tonne lower at GBP197.00/tonne with new crop Nov up GBP2.75 to GBP175.25/tonne. Nov Paris wheat rose EUR2.50/tonne to EUR225.75/tonne whilst May was up EUR3.00/tonne to EUR229.25/tonne. 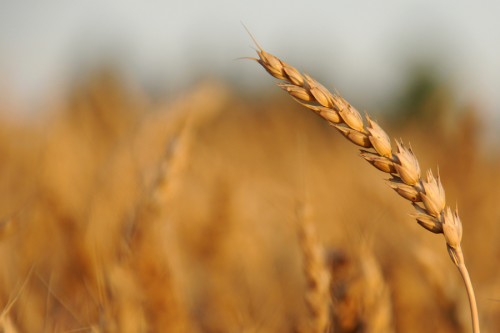 On the week as a whole May London wheat GBP1.00/tonne lower, with Nov up GBP6.50/tonne. Nov Paris wheat was EUR13.00/tonne higher. Old crop London wheat fell on the surprise news that the Ensus wheat to bioethanol plant on Teesside was to close temporarily. The company blame cheap biofuel imports, particularly from the US, for taking advantage of "loopholes in EU import legislation to avoid established tariffs, bringing bioethanol of uncertain origin and sustainability into the European market." The plant is expected to be closed for around 2-4 months. With a potential monthly wheat requirement of around 100,000 MT that, in theory, brings a significant volume of old crop wheat back onto the market. That said, Defra reported yesterday that old crop wheat stocks held on farm in England and Wales at the end of February amounted to only 3.5 MMT, down by more than a quarter on a year previously. On farm barley stocks were down by more than half to 491,000 MT. Brussels reported yesterday that they'd issued soft wheat export licences for 264,000 MT this past week, bringing the cumulative total for the 2010/11 marketing year to more than 17 MMT. 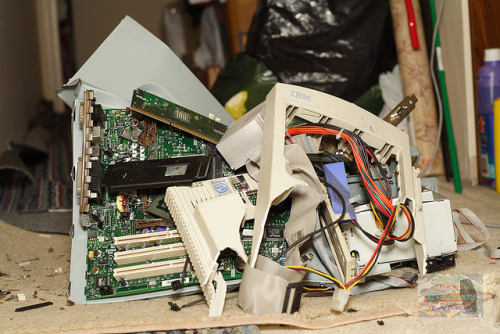 13/05/11 -- Friday the 13th was indeed a bad day for Blogger, and therefore me, as the site went down for almost 24 hours. That meant that I wasn't able to do any updating for most of the day today, and also that all of yesterday's blogs appear to have been lost in cyberspace. They may return, as Blogger say they are "working on it" but then again they may not. Even the dog's latest pooh-related rant has gone. Luckily I had back-ups of the EU and CBOT grains closes from last night so I've re-posted those below. Everything else is in the lap of the Gods. Hopefully everything is now back to normal. We shall see. Branston hasn't recently acquired Blogger has he? Corn: May 11 corn closed at USD6.81 1/4, up 12 1/2 cents; Dec 11 corn closed at USD6.30 1/2, up 4 1/2 cents. Weekly export sales were in line with expectations at 433,800 MT for old crop and 23,700 MT for new crop. was the main buyer for both. A recovery in crude oil, which had been down around USD2.50 earlier in the day encouraged funds to buy around 7,000 corn contracts on the day. 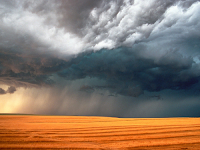 "Wet weather remains in the forecast for the US Corn Belt. With sharply colder temperatures in the coming days, fields will dry off slowly. Planting delays are anticipated to continue," say Martell Crop Projections. Wheat: May 11 CBOT wheat closed at USD7.00 1/2, down 27 1/4 cents; May 11 KCBT wheat closed at USD8.69, down 36 cents; May 11 MGEX wheat closed at USD9.19 1/4, down 17 3/4 cents. Weekly export sales were in line with expectations at 320,600 MT old crop and 229,900 MT new crop. In addition shipments were a marketing year high of 1,026,500 MT. Even so prices declined on a combination of improved export prospects from the Black Sea and better planting weather in Canada. Algeria bought 400,000 MT of new crop any origin wheat overnight. 12/05/11 -- EU grains closed with May London wheat GBP3.75/tonne lower at GBP199.00/tonne and with new crop Nov falling GBP3.15/tonne to GBP172.50/tonne. Nov Paris wheat closed EUR3.75/tonne lower at EUR223.25/tonne whilst May12 was down EUR3.50/tonne to EUR226.25/tonne. The markets hangover from yesterday's bearish USDA numbers continued to weigh. French analysts Strategie Grains said that last year's EU-27 soft wheat crop was in fact 400,000 MT higher than previously stated at 126.4 MMT. Next season's EU-27 soft wheat production is likely to be 131.5 MMT, up 4% on last year although down 3.6 MMT from last month's estimate, they said. Soft wheat exports will fall to 17 MMT, 2 MMT down on last month's prediction, they added. Corn production for 2011/12 was reduced from 59.5 MMT to 59.1 MMT, although that still represents an 8% increase on last season. Barley output was reduced slightly to 54.2 MMT, although again that's still a modest increase on 2010. They also noted "the combined 14 million tonne increase in the availabilities in the Black Sea countries" in 2011/12, which was similarly alluded to in yesterday's USDA report. Defra pegged on farm wheat stocks as at the end of February in England and Wales at 3.52 MMT, down 26% on last season. 12/05/11 -- News reaching Nogger Towers suggests that the shops have sold out of these in the Recar area. 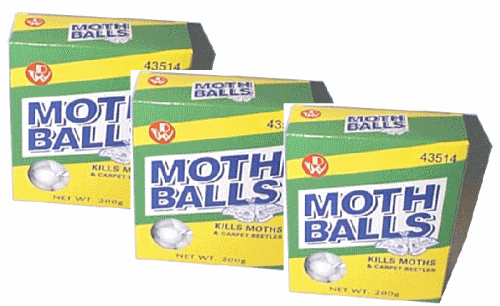 Officially unconfirmed reports suggest that the Ensus bioethanol refinery in Wilton, one of - if not the largest - wheat bioethanol refineries in the world which only went into production early in 2010 will be "moth-balled" for "2-4 months" around the end of the month. It would seem that with UK wheat prices now at well over GBP200/tonne the economics of the equation of turning food into fuel clearly don't currently stack up. 12/05/11 -- The overnight grains closed sharply lower in follow through action from yesterday and what looks like another wave of broad-based commodity selling as the end of US QE2 approaches. Wheat ended 15-20c lower, with corn down 10-17c and soybeans falling 17-19c. Crude is almost two and a half dollars lower and now well beneath USD100/barrel after yesterdays bearish stocks data. US crude supplies rose by 3.8 million barrels last week the US Energy Dept said yesterday, more than double what the market was expecting. Other energies, metals and softs are also mostly lower whilst the dollar is higher. China's central bank have increased it's bank reserve requirements again, this time by another 50 basis points. That may hurt commodity demand in general from the world's second largest consumer. The USDA's bearish production and stocks data released yesterday continues to hang over the grains markets. Soybean bulls were hoping for a ray of light from today's weekly export sales numbers but they didn't get it. Weekly soybean export sales were just 59,000 MT old crop and 3,300 MT new crop. That's the second sub-100,000 MT week in a row - a feat usually only achieved right at the end of the marketing year. Wheat and corn export sales were better at a combined 550,500 MT and 467,500 MT respectively. Wheat shipments of of 1,026,500 MT were a marketing-year high, whereas soybean exports fell to just 180,600 MT. Soybean sales have really hit the skids recently with China absent for a second week in a row. There are still some bullish stories out there, especially for US wheat, but if the funds want out then the funds want out and that's the end of it we go lower. 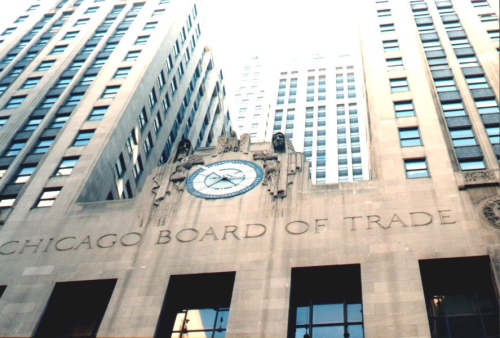 Early calls for this afternoon's CBOT session: beans 15-20c lower, corn down 10-15c, wheat down 15-18c. 12/05/11 -- Russian PM Vladimir Putin has gone on record this week as saying "crop results must convince us that we fully satisfy our internal necessities" before the existing ban on grain exports would get lifted. Yet some reports suggest that as much as 10 MMT of surplus grain may have been squirreled away "off the official radar" by Russian growers and merchants hoping to cash in on a "name your own price" bonanza. Unfortunately for them the export embargo has kept domestic Russian grain prices artificially low - reputedly as much as USD100/tonne below world prices. Clearly this volume, if it exists, is going to simply have to sit and wait for the export window to re-open. When it does come back onto the market the effect could be immediate. We've had ten months of Russia being out of the market, but you can probably cast your mind back to before that when they were winning just about every Egyptian tender going. Except at the moment there aren't any Egyptian tenders to fight over. They've got enough wheat of their own thanks to an impending record domestic harvest. If Russia's export embargo does last beyond the existing summer deadline then you can be certain that Ukraine will be more than keen to fill the temporary void. Ditto Kazakhstan. It looks like there'll be a welter of cheap FSU wheat on the market come harvest, and having spent a while in the wilderness these lads will be even keener than normal to market their stuff aggressively. The fact that they've accumulated a few question marks as regards their reliability as a supplier will be swiftly forgotten if the price is right. Russia will be doing the market a favour if it keeps the embargo in place until their own harvest is complete. It may however swiftly conclude that it may as well have a slice of the action sooner rather than later if prices keep falling. 11/05/11 -- Soybeans: May 11 soybeans closed at USD13.33 1/2, down 6 1/2 cents; May 11 soybean meal closed at USD344.10, down USD2.20; May 11 soybean oil closed at 56.07, down 42 points. The USDA raised US old crop ending stocks for 2010/12 by 30 million bushels to 170 million bushels. They also upped Brazilian soybean production by a million tonnes to 73 MMT. Crude oil fell USD5.00/barrel adding to downside potential. China's soybean import requirement for 2010/11 was cut to 54.5 MMT, but estimated at a healthy 58 MMT for next season. Corn: May 11 corn closed at USD6.68 3/4, down 37 1/4 cents; Dec 11 corn closed at USD6.26, down 26 3/4 cents. Limits will be expanded to 45 cents tomorrow after futures closed limit down on the July and September contract with limit no applying to in delivery May. US 2010/11 corn ending stocks rose by 54 million bushels from last month as the USDA cut projected exports. In 2011/12 corn use from the ethanol sector is only seen climbing by a very modest 50 million bushels, placing US ending stocks for next season at 900 million bushels, almost 100 million more that the trade had anticipated. Wheat: May 11 CBOT wheat closed at USD7.27 3/4, down 41 1/4 cents; May 11 KCBT wheat closed at USD9.05, down 27 1/2 cents; May 11 MGEX wheat closed at USD9.37, down 34 cents. There wasn't a great deal of overall change to the USDA's bottom line numbers, what they did however highlight was the switch from US/EU exports in 2011/12to those from the FSU. Both the US and EU are seen losing market share as cheaper and more ample supplies become available from Russia, Ukraine and Kazakhstan in 2011/12. Exports from there are seen 150%, 143% and 50% higher respectively next season. 11/05/11 -- EU grains closed mostly lower on the back of a bearish USDA stocks and supply & demand report. May London wheat fell GBP2.75/tonne to GBP202.75/tonne with new crop Nov down GBP3.35/tonne to GBP175.65/tonne. Nov Paris wheat fell EUR1.75/tonne to EUR227.00/tonne whilst May declined EUR2.00/tonne to EUR229.75/tonne. The USDA pegged EU-27 wheat production at 138.62 MMT for 2011/12, largely ignoring the impact of the dry spring although they did comment that it was "limiting production" here. World wheat production will match consumption at around 670 MMT in the coming marketing year, they said. However, a return to near normal output from the FSU countries of Russia, Ukraine and Kazakhstan will see US and EU exports reduced next season, they added. Wheat output in Russia is forecast to rebound 28% to 53 MMT, with that of Ukraine increasing by 13% to 19 MMT and Kazakhstan by 55% to 15 MMT in 2011/12. That will see foreign sales from the three aggressive FSU exporting nations rise by 150%, 143% and 50% respectively next season, they estimate. In addition, imports from Egypt and Morocco will decline by 7% and 46% in the coming season on the back of improved wheat harvests there. Egypt has been out of the market for some time and recently stated that it had sufficient stocks to cover eight months needs. As the FSU countries return to flex their muscles on the international market US wheat exports are seen falling 18% from 34.7 MMT this season to 28.58 MMT in 2011/12, with EU-27 exports also down 18% from 22 MMT to 18 MMT. World barley production is seen rising 8 MMT, or 6.5%, to 134.5 MMT in 2011/12, with the EU-27 accounting for 53.9 MMT of that total, some 400,000 MT more than we consume. EU-27 exports are seen almost halving to 2.5 MMT. 11/05/11 -- The USDA report came in bearish. Old crop bean and corn stocks were increased by virtue of lower exports and lower US wheat production was matched by a sharp increase from the FSU countries. Potential wheat yield losses in Europe and Canada seem to have been largely ignored, at least for now. Wheat exports from the FSU were also ratcheted sharply higher for 2011/12. Whilst Brazil's soybean crop was revised a million tonnes higher to a record 73 MMT. Early thoughts on next season's production were pencilled in as 72.5 MMT for Brazil and 53 MMT for Argentina. China's soybean import requirement for 2010/11 was cut to 54.5 MMT, but estimated at a healthy 58 MMT for next season. Where we close may be more important than where we open, which is estimated to be sharply lower. 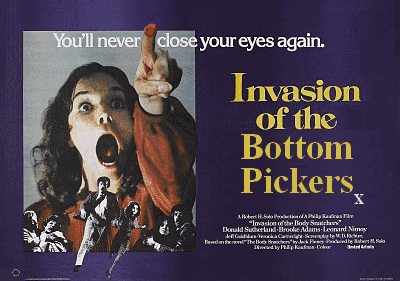 Will bottom pickers enter the fray on the lows, or will we quickly crash to limit down? Crude oil is offering no support down a dollar and a half or so, with gold also negative and the US dollar higher. Early calls are beans down 20-25c, corn down 20-30c and wheat down 10-15c. 11/05/11 -- The USDA appeared to take note of the recent drop-off in US exports for corn and soybeans, cutting their estimations for foreign sales for both commodities, raising US 2010/11 corn ending stocks by 54 million bushels from last month and soybeans by 30 million. Brazilian soybean production was raised a million to 73 MMT, with Argentine output unchanged at 49.5 MMT. For 2011/12 EU-27 wheat production was estimated at 138.62 MMT. Russia are seen producing 53 MMT of wheat in 2011/12, with a further 15 MMT from Kazakhstan and 19 MMT from Ukraine. For the coming season Russian exports were estimated at 10 MMT, with Kazakhstan at 7.5 MMT and Ukraine at 8.5 MMT. Relative to the current 2010/11 season that pegs Russian output up 28%, Kazakhstan up 55% and Ukraine up 13%. Export increases equate to 150%, 50% and 143% respectively. On the back of that US wheat exports are seen falling from 35.5 MMT this season to 29 MMT in 2011/12, with EU-27 exports down from 22 MMT to 18 MMT. 11/05/11 -- It's shaping up like a quiet one ahead of this afternoon's USDA numbers out at 13.30 BST. The overnight's aren't doing much at this stage, mostly a cent or two firmer, with crude also a bit firmer. This is the USDA's first official stab at 2011/12 crop production, so it's anyone's guess what they might come up with. Not only will they be estimating US corn and soybean output this coming season but they should also throw out some projections for wheat production in Europe and the FSU too. With all the assorted weather problems around at the moment there's plenty of opportunity to come out with something bullish - especially for wheat, maybe for corn and less likely for soybeans I'd say. Other news is thin on the ground. We've had 17mm of rain so far in May up here in North Yorks, almost 4 1/2 times what we had in the whole of April, although the south east hasn't been anything like so fortunate. Northern France and Germany have a good chance of rain later in the week, if they do get it how much good it will do is debatable. CME Group are proposing to raise the limit on corn from the existing 30c to 40c, with the limit after a limit close being extended to 60c, I see. Brazil's soybean crop estimates are still creeping up. Conab yesterday came out with a record 73.6 MMT, up 7.5% on last season and 1.6 MMT above last month's USDA number. Maybe that will get revised up today? China only sold 21% of the wheat on offer at this week's auction. 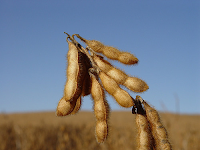 10/05/11 -- Soybeans: May 11 soybeans closed at USD13.40, up 5 cents; May 11 soybean meal closed at USD346.30, up USD0.40; May 11 soybean oil closed at 56.49, up 51 points. Beans were up, but well off session highs, possibly as bulls curbed their enthusiasm to open fresh longs ahead of tomorrow's USDA reports. The trade is anticipating old crop US ending stocks will come in at 153 million bushels (from 140m last month) and new crop at 167 million bushels. Brazilian soybean production could come in even higher than last month's projected record 72 MMT and Chinese imports may be revised downwards from 57 MMT. World ending stocks for 2010/11 are seen rising slightly from 60.94 MMT to 61.55 MMT. Corn: May 11 corn closed at USD7.06, up 1 1/2 cents; Dec 11 corn closed at USD6.52 3/4, down 4 3/4 cents. Tomorrow's USDA report is expected to show US old crop ending stocks at 661 million bushels, down slightly from 676 million last month, with 2011/12 ending stocks coming in at 808 million bushels. There are some suggestions that the recent slump in US weekly export sales may see US ending stocks come in higher than these trade estimates. Global ending stocks for 2010/11 are seen rising slightly to 122.75 MMT, with world 2011/12 ending stocks at 124.78 MMT. Wheat: May 11 CBOT wheat closed at USD7.69, up 9 3/4 cents; May 11 KCBT wheat closed at USD9.32 1/2, up 22 1/2 cents; May 11 MGEX Wheat closed at USD9.71, up 11 cents. 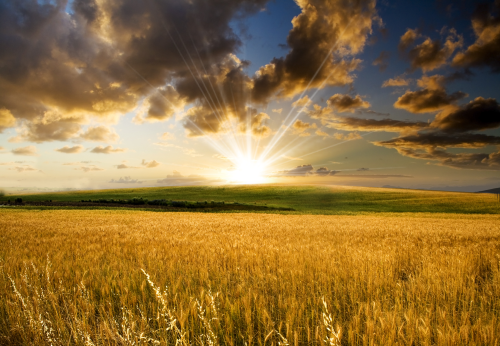 Wheat was the strongest leg on the back of a decline in US winter wheat crop ratings overnight, combined with sluggish spring wheat plantings and EU crop concerns. Tomorrow's USDA reports are expected to show old crop wheat stocks marginally higher than last month at 845 million bushels, with new crop coming in at 658 million. World ending stocks for 2010/11 are seen falling around half a million to 182.31 MMT, with new crop coming in at 181.76 MMT. 10/05/11 -- May London wheat closed GBP2.75/tonne higher at GBP205.50/tonne with new crop Nov up GBP1.25 to GBP179.00/tonne. May Paris wheat fell EUR2.75/tonne to EUR265.00/tonne whilst Nov was up EUR2.75/tonne to EUR228.00/tonne. May Paris wheat went off the board today, whilst May London wheat is still with us for almost another fortnight. With July London wheat ending at GBP196.50/tonne we've got a hefty GBP9.00/tonne premium for nearby opening up, where dark satanic forces seem to be at work. That differential doesn't translate into the physical market however where July is still around a GBP2.00/tonne premium to May. European weather concerns remain, although the BBC are giving heavy rain showers for northern France on Saturday and more scattered lighter showers for much of Germany this side of the weekend. Most parts of the UK continue to see spotty showers, although peak wheat production areas in the SE are faring the worst. Trade speculation puts wheat yield losses in the UK at around 10% with France and Germany likely to have suffered to the tune of 15-20%. That potentially pegs UK wheat production this season at around 14.4 MMT, with output in France at 31-33 MMT and Germany falling to around 20-21 MMT. In round figures that's in the region of 10-14 MMT knocked off EU-27 production from the three leading producers in the bloc, and that's before we take Europe's fourth largest producer Poland into account where things are also looking far from rosy. 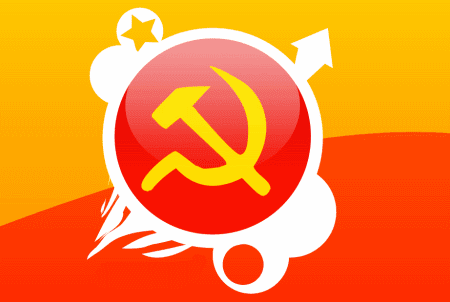 Has China's Insatiable Demand Been Satiated? 10/05/11 -- Much has been made in recent years of China's so-called insatiable demand for commodities, especially soybeans. In the last twenty years Chinese soybean production has been relatively static at around 13-16 MMT, yet we've seen imports rise from less than a million tonnes a year back then to an estimated 57 MMT in 2010/11, according to the USDA. Is this meteoric rise in imports really all down to a boom in demand backed up by a yearning for all things Westernised or could there be other factors also at play? One interesting report from Dow Jones here suggests that other forces are indeed very much at play. As credit becomes more difficult to obtain in China, some trading companies have resorted to generating funds by importing soybean cargoes that they neither need, or in some cases even use, simply because they can sell them as a cash commodity on the spot market. A low interest, or even interest free, letter of credit issued against the soybean cargo doesn't need to be repaid for three to six months providing the importer with a short-terms cash injection. Of course they probably end up selling the cash soybeans at below the cost of replacement, so there's rarely going to be enough money in the kitty to repay the letter of credit when it falls due, but hey they can simply import another one before then can't they? It sounds like a Bernie Madoff inspired Ponzi scheme which will only come home to roost if and when the Chinese government decide to clamp down on the practice. That or when the kitty finally runs so dry that the companies involved can't import soybeans fast enough to meet their imminent payment obligations. Either way it looks like a sizable pack of cards that could implode at any time, leaving behind it a large stockpile of soybeans sat on the quayside in China looking for a home. How widespread is the practice? Possibly 30-40% of port stocks, which are perhaps tellingly at record levels, could be being used this way the report estimates. It's a bit like say Taylor Wimpey suddenly becoming the UK's largest (and cheapest) supplier of soybeans. 10/05/11 -- The overnight grains closed higher, with wheat leading the way up 18-20c nearby, with corn up mostly 2-4c and soybeans rising around 10-12c in the main. Wheat led following last night's USDA report showing sluggish spring planting progress and another fall in winter wheat crop condition ratings. Corn rose despite better than anticipated progress with spring plantings, which may have been viewed as slightly friendly for soybeans. Many parts of Kansas got their earliest 100F day of the year yesterday, to further add to the woes of the HRW wheat crop there. 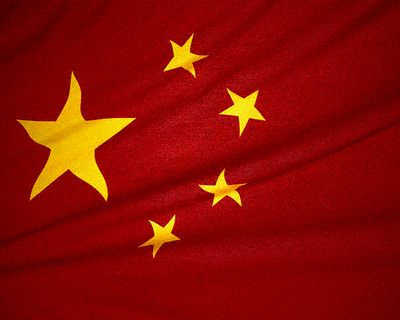 China posted a hefty trade surplus of USD11.4 billion in April as exports hit a record. That may increase tensions with the US who are concerned that Beijing is deliberately holding back the yuan's appreciation in order to boost exports. Crude oil is down, although off session lows, ahead of stocks figures from the American Petroleum Institute that are expected to show US inventories rising 1.5 million barrels which would take them close to their highest in the last two years. Margins have been raised from USD6,750 to almost USD8,500 for trading crude on NYMEX, effective after the close of business today, according to Bloomberg which may discourage some spec money. 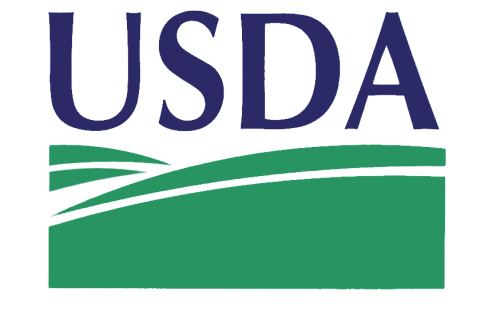 The USDA are out tomorrow with their May WASDE report, which may prompt some book-squaring this afternoon. Given the slackening off in the recent pace of US corn and soybean exports there could be a little tinkering with old crop stocks getting revised higher. There is also a case for lowering Chinese soybean imports. European weather concerns remain, although the BBC are giving heavy rain showers for northern France on Saturday and scattered lighter showers for much of Germany this side of the weekend. 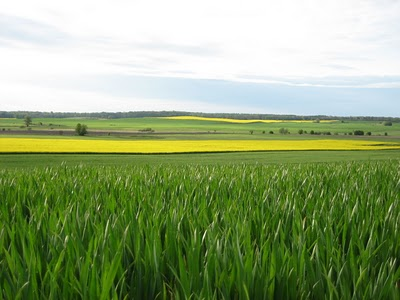 Crops are looking good in Ukraine, with less than 6% of winter grains rated as poor. Early calls for this afternoon's CBOT session: beans up 8-10c, corn up 6-8c, wheat up 15-20c. 10/05/11 -- Wheat is a further 18-20c up on the overnight Globex market this morning, adding to last night's gains, armed with the knowledge that spring wheat plantings in the US only advanced to 22% complete compared with 61% on average. The top spring wheat state of North Dakota only has 7% in the ground compared to 51% normally. Winter wheat rated good/excellent fell one point to 33% whilst poor/very poor increased from 41% to 42%, with a 2% rise in the very poor category. A whopping 50% of Texas wheat is now rated very poor with a further 26% poor and nothing at all in the excellent category. The top producing state of Kansas only had 18% of it's crop rated good/excellent. Corn plantings jumped from 13% to 40% complete, still lagging 59% normally at this time, but a pretty impressive performance nevertheless. Soybean sowings at 7% done were also probably above what most people expected. 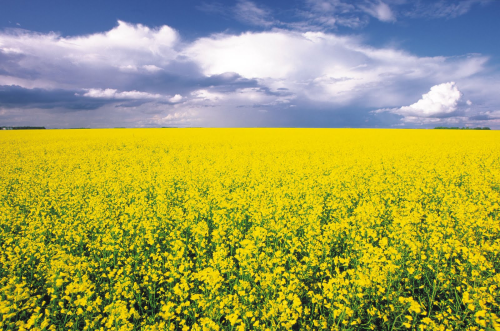 Canadian spring plantings on the Prairies are well behind at just 3% done. Pakistan have undercut Australian wheat into the Philippines with a sale of 59,000 MT, according to media reports. China imported 3.88 MMT of soybeans in April, that's a modest increase on March, but a decrease on April 2010. The USDA still have them down to import 57 MMT in 2010/11, that is starting to look a bit ambitious. That may be one number up for revision tomorrow. London wheat has opened strongly again, with May up GBP3.25/tonne and Nov GBP2.25/tonne higher. Paris wheat is showing gains of around EUR3-5.00/tonne, with corn, rapeseed and malting barley all higher too. 09/05/11 -- Soybeans: May 11 soybeans closed at USD13.35, up 10 cents; Nov 11 soybeans closed at USD13.22, up 13 1/2 cents; May 11 soybean meal closed at USD345.90, up USD1.00; May 11 soybean oil closed at 55.98, 61 points higher. Nervous fund selling evaporated as crude oil rose more than USD5.00/barrel. Weekly export inspections of 6.018 million bushels were at the low end of trade expectations. 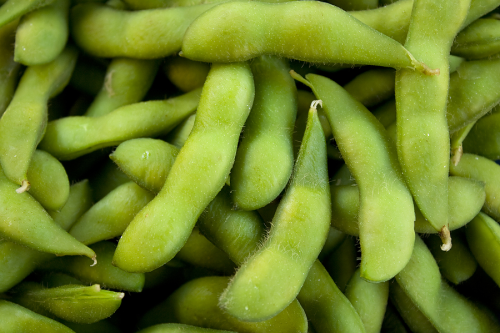 The USDA reported 7% of the soybean crop as planted as of Sunday. That's below 28% last year and 17% on average, but probably much better that the trade anticipated. Corn: May 11 corn closed at USD7.04 1/2, up 21 3/4 cents; Dec 11 corn closed at USD6.57 1/2, 17 1/4 cents higher. After the close the USDA reported corn plantings at 40% complete, towards the high end of expectations, and up 27 points from last week. Iowa sowings leaped from 8% done to 69% complete, a tribute to modern farming methods and equipment. The USDA export inspections report came in at 27.777 million bushels, a bit on the low side. Funds bought an estimated 13,000 corn contracts on the day it is thought. Wheat: May 11 CBOT wheat closed at USD7.59 1/4, up 34 3/4 cents; May 11 KCBT wheat closed at USD9.10, up 42 cents; May 11 MGEX wheat closed at USD9.60, up 49 1/4 cents. 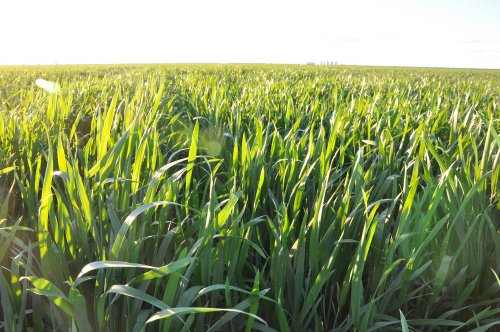 Wheat led the way higher on the back of last week's disappointing results from the Kansas wheat tour and reports that temperatures over the weekend reached near 100 F in Texas, Oklahoma and Kansas. Export inspections were solid at 34.625 million bushels. A strong showing by EU wheat markets also helped the cause. 09/05/11 -- EU grains closed with May London wheat GBP4.75/tonne higher at GBP202.75/tonne and with new crop Nov climbing GBP9.00/tonne to GBP177.75/tonne. About to expire May Paris wheat closed EUR27.75/tonne higher at EUR267.75/tonne whilst Nov was up EUR13.25/tonne to EUR226.00/tonne. At one stage May Paris wheat, which goes off the board tomorrow, touched EUR280.00/tonne showing an astonishing EUR40.00/tonne, or near 17%, rise on the day at that stage. In London, Nov11 finished 5.3% higher, whilst even Nov12 managed to finish with impressive 5.2% gains. The south east of England got the worst of the deal as far as UK weather was concerned over the weekend, picking up just a millimetre or two of rain. Further north and east managed to get ten times that amount. With crops here being around 3-weeks forward, and flag leaves emerging with the crop just a foot tall there are doubts about how much good rain would ultimately do at this stage. In addition straw is likely to be in short supply again in 2011/12. The USDA attache in Europe said last week that EU-27 2010/11 wheat ending stocks will fall to a record low 10.7 MMT this season, and despite production climbing this year 2011/12 ending stocks will barely recover, rising to only 10.9 MMT in 2011/12. With this year's output from leading producing nations like France, Germany and Poland (and to a lesser degree the UK too) now being called into question then it looks possible that next season's ending stocks will in fact fall to fresh record lows. 09/05/11 -- There's no sign of an extension to last week's commodities slump so far, with crude and other energies, metals and softs mostly starting the week posting significant gains. That's lent a positive tone to grains, adding to some bullish fundamentals, sending Globex wheat up 12-17c overnight, with corn up around 6-10c and soybeans up 6-8c. Temperatures in the 90's over the weekend, touching low 100's in places, combined with high winds will have caused more damage to an already hurting badly US HRW wheat crop. The USDA will report on crop conditions tonight, so we can probably expect further declines from last week's 34% good/excellent. Ironically of course further north in the Dakotas what wouldn't they give for some warmth and dryness to help spring wheat plantings advance from just 10% done last week as opposed to 43% a year previously. The USDA will also report on corn planting progress, that was just 13% done last week. The trade is hoping for a figure around 35-40% this time round. That sounds a bit optimistic to me, but we shall see. Whilst bullish stories exist for corn and wheat, there aren't too many for soybeans so they may be the weakest leg for the time being. South America is just about done harvesting another large crop, record in the case of Brazil. China seems to have packed up it's bat and ball as far as soybean purchasing goes. The Chinese renminbi, or yuan, has hit an all-time high against the dollar this morning. Potentially "drought busting" rains arrived for East, Central and South China over the weekend, with some places getting a reported 100mm between Sunday morning and 2 pm local time this afternoon. 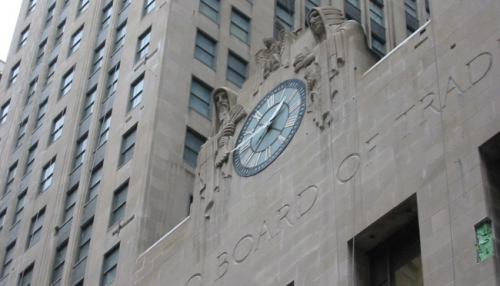 Early calls on this afternoon's CBOT session: corn up 8-10c, beans up 6-8c, wheat up 14-16c. 09/05/11 -- EU rapemeal prices appear to have dramatically transformed themselves from a ginger-haired stepson sat on the orphanage steps crying his eyes out to Antonio Banderas beating women off with a excrement-coated stick in the space of a weekend. 09/05/11 -- It's all looking bullish again this morning, with the overnight grains sharply higher led by wheat which is up 14-16c. We've got 100 degree heat and 35mph winds for the southern Plains today, according to QT Weather. That could finish off HRW wheat there. It's been a mixed weekend across the UK and Europe. Here in North Yorks we got 3.3mm of rain on Thursday, Fri zero, Sat 2.5mm & Sun 10.2mm according to a local weather station. Unfortunately farmers in the East Anglian breadbasket weren't so lucky from what I am hearing. 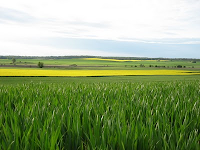 Northern France, Germany and Poland remain too dry, with spring barley and rapeseed suffering the worst, although some irreversible damage must also have been done to wheat. NYMEX crude oil is back up above USD100/barrel this morning, whilst metals and most other outside markets are also higher. The fundamentals feel bullish again, but that doesn't rule out a setback if further fund money long liquidation and rebalancing resurfaces. We've also got the USDA out on Wednesday with their latest supply and demand numbers, so there's always spanner in the works potential there. All in all, another interesting week lies ahead. 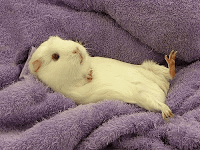 Anyway, my daughter is invited round to meet the girl over-run with said rodents, who promptly "interviews" her, vis-a-vis her suitability for hamster guardianship, and then turns her down as "unsuitable" due to Megan being only three. It seems that three year olds are particularly prone to hamstercide. If she had that many of them the Megan would have been doing her a favour I'd have thought, but strangely the girl didn't see it that way and wouldn't be budged. 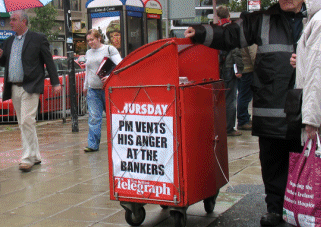 Pets at Home shares are likely to suffer when this news hits the streets this morning.